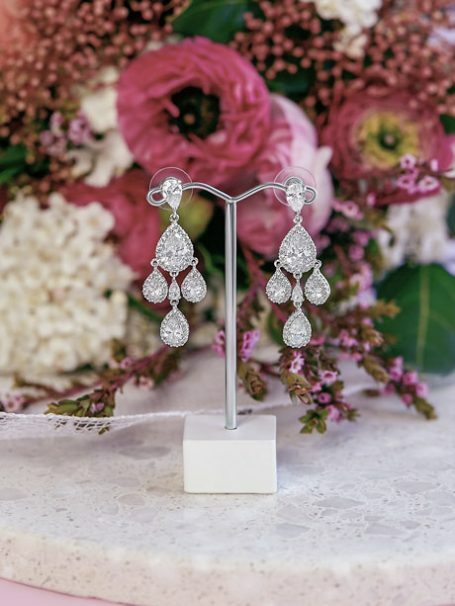 The Darling Wedding earrings are designed to make a statement of elegance and sophistication. The three lovely teardrops extend from the centre to create a stunning chandelier look. Exude boho style with these exceptional wedding earrings. These Teardrop Crystal Earrings are a statement earrings bursting with shine. Three droplets extend from the carefully crafted main teardrop. Creating a chandelier look that is glamorous and yet understated. Make these beautiful designs yours and create your own chic bridal style with Hello Lovers Collection. This Bridal Jewellery Collection is heavily inspired by Australia’s beautiful landscapes, the essence of this special place that we call home. Our Darling Wedding earrings, as well as, all of our wedding jewellery earrings are packaged in a pale silk pink Hello Lovers Australia box. Other boho wedding jewellery for the bride you may like are our Allie wedding earrings or our Poppy wedding earrings. Both pieces are a similar style. 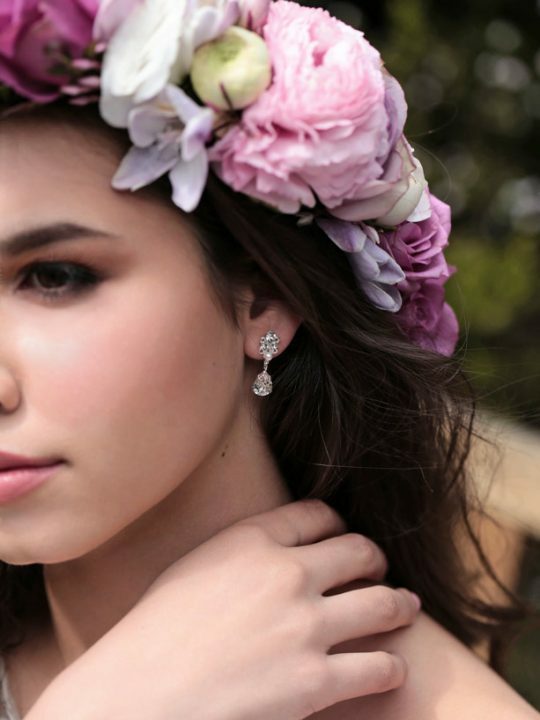 The Darling Teardrop Crystal Earrings look simply stunning when paired with the The Esperance Bohemian Wedding Dress. 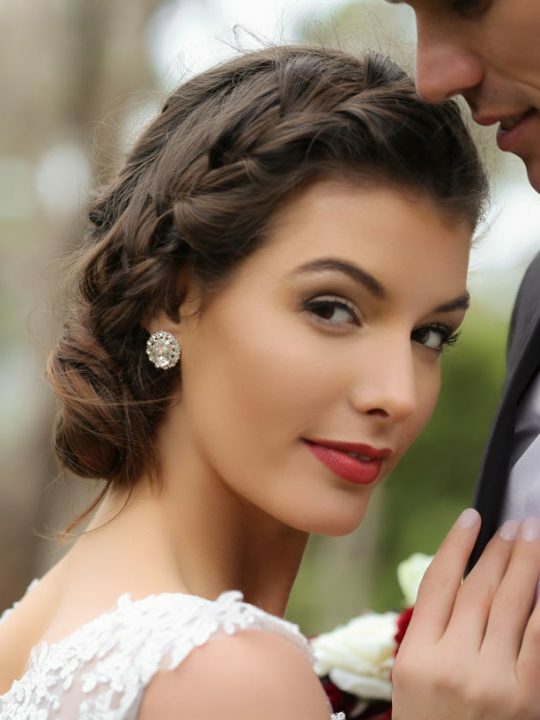 To make you feel like a princess, we recommend completing this look with the Aura silver hair vine. Go bold and beautiful. The Hello Lovers Australia Collection is a unique assortment of fine jewellery pieces that have been named after and inspired by the capital cities of our country. The teardrop crystal earrings offer sophisticated style. Surprise and enchant with the Darling Wedding collection that is exclusive to Hello Lovers. Expertly handcrafted jewellery designed in Melbourne by Hello Lovers Australia. We also also an exciting range of lace wedding dresses in the vintage boho style.